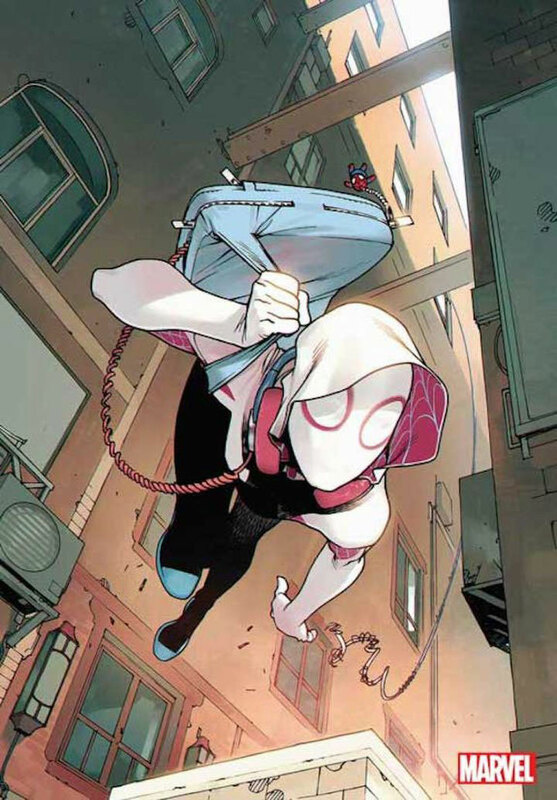 Guess who's writing SPIDER-GWEN: GHOST SPIDER? The death of Gwen Stacy in 616 was the most traumatic thing that happened in a comic book during my childhood. Getting her back was a miracle. I am so happy. I am so honored. And I am going to work so hard to make you all proud. She’ll be joined by artist Rosi Kämpe and cover artist Bengal. So yes the news is out, I'm drawing SPIDER-GWEN: Ghost Spider and @seananmcguire has created a phenomenal story! It's exciting and fun and all Gwen, can't wait for you to see it! The new series will spin out of this fall’s Spider-Geddon event. Look for it in October.